Before you start spider pose, find a clear area of floor or carpet. Take off your shoes, so you can tickle each other’s toes! Then move onto your hands and knees ready to crawl as creepy spiders. 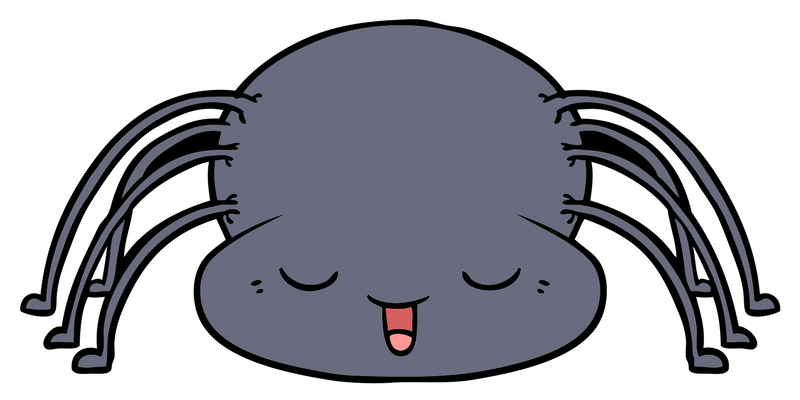 Crawl quickly like a scuttling spider, then crawl slowly like a sleepy spider. Creepy crawly, creepy crawly tickling your toes – tickle each other’s toes! Where’s that little spider gone? Activate shoulder muscles, helping to refine fine motor skills e.g. writing and dressing skills. If your child complains of hand ache when they hold a pencil, it maybe because they are overusing their hand muscles. Children can stress their hand muscles either by holding their pen too tightly or by not using their shoulder muscles enough to support their arm. In either case spider pose will be a great activity for them as crawling will strengthen their shoulder muscles and also gently stretch and relax their hand muscles. Refine visual tracking skills, especially looking smoothly up & then back down. This skill is crucial for concentration and school readiness (for example looking from desk up to whiteboard or teacher and then back down to desk). Strengthen the connections between right & left hand sides of the brain. These neural connections enable your child to smoothly co-ordinate the right and left sides of their body and to retrieve, sort and sequence information. If these connections are not well established a child may have difficulties with knowing their left from right sides, number, letter and word reversals (b/d, on/no) and memory. Develop a sense of rhythm & increase levels of alertness for concentration. Crawling to Tatty Bumpkin spider rhyme or song will improve your child’s sense of rhythm. Spider pose is also quite alerting and can therefore be an ideal ‘movement break’. 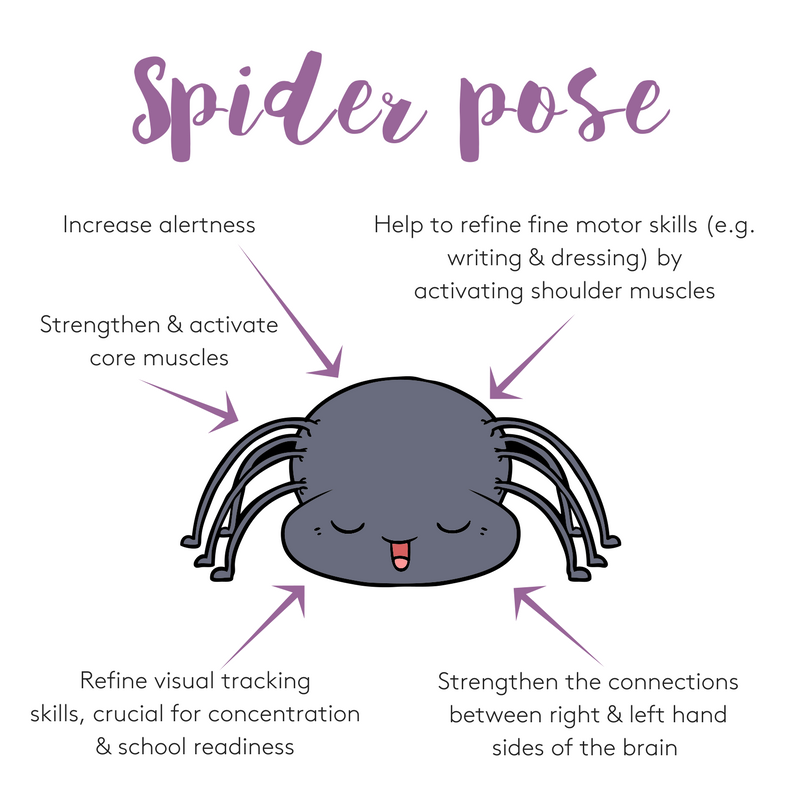 If your child is finding it hard to maintain concentration at a desk activity, suggest they spider pose for 30 secs (time them) and see if this improves their concentration. 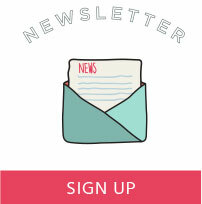 See whether you can crawl backwards or even sideways (be careful not to bump into anything)! Squat on the floor and rock from side to side on your toes, you can use your hands for support. Try to creep forwards, backwards and sideways staying in the squat position. Scatter some cushions on the floor and see whether you can crawl over them without losing your balance. Then see if you can crawl around a table leg or a chair. Draw a spider’s web on a big piece of paper and place it on the floor. Then put a spider toy in the middle of your web (or maybe make your own spider out of a baked potato & twigs). Scrunch up some little pieces of paper, or break up a scouring pad into little bits* – these are your baby spiders. Lie on your tummy with your child and see if you can both blow the baby spiders back to their mummy (or daddy) in the web. Toddlers will find it difficult to blow. Instead they might enjoy picking up the baby spiders and putting them in the web. *Supervise this activity closely with younger children and toddlers as they are likely to put the paper/scourer bits in their mouths if left to their own devices! Toddlers will be more likely to crawl with you if you give them a canopy to crawl under. Drape a piece of spidery fabric, net, a large muslin or piece of dark material over two chairs and encourage your toddler to crawl underneath it with you to hide! 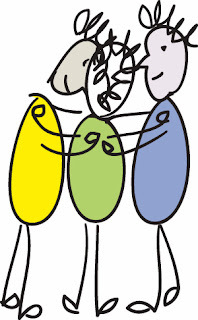 join hands together with your family & friends to make a giant, tangled spider’s web.